Image: Jennifer A Smith/Getty Images. From glitter lattes to doughnuts doused in sparkles, glittery food was everywhere in 2018. Given that, it’s no surprise the No. 1 most-searched-for food on Google for 2018 was “unicorn cake.” But what exactly is it made of, and are glittery foods actually safe to eat? What is this baking glitter made of? First of all, what are we dealing with here? Is this the same type of glitter kids use for art projects? In short, nope. Fortunately, in December 2018, in anticipation of holiday sparkle sweets, the Food & Drug Administration released an updated bulletin on decorative food products (like baking glitters, dusts and shimmers) detailing which types are safe to eat and which should be avoided. So, is it safe to eat? With glittery foods popping up everywhere — especially for children — it’s important to consider whether or not they’re actually safe to eat. Turns out it’s not that simple. In order to find out, you need to read the specific language used on the label. “The key for safety is to look for the term ‘edible,’ which means it meets FDA standards for food safety. Just because glitter says ‘nontoxic’ is not enough,” Isabel Maples, also a registered dietitian and spokesperson for the Academy of Nutrition and Dietetics, tells SheKnows. This includes the phrase “for decorative purposes only,” according to the FDA. “Many of the glitters and luster dusts sold do not specifically state that they are edible and often don’t list ingredients — beware of eating these types of products and search for safe versions,” Gradney adds. You should also pay attention to food coloring. 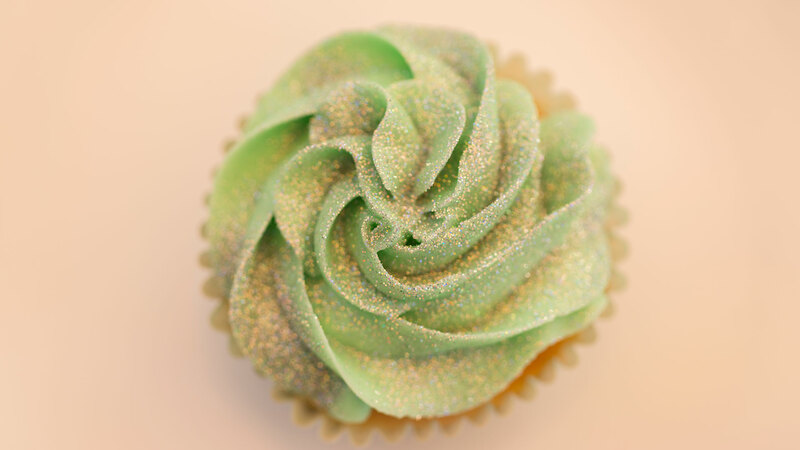 “Edible glitters use FDA-approved coloring. These can be man-made or from plant/animal/mineral sources,” says Maples. There are a total of nine certified synthetic colors approved by the FDA to be used in food. However, colors from natural sources like vegetables, minerals or animals (like bugs) are not subject to batch certification requirements. So if you have a sensitivity or allergy to certain colorings, you should pay extra-close attention to the ingredients. “Though it’s rare, some food color could cause an allergic reaction. For example, FD&C yellow No. 5 — an FDA-approved additive — which can cause itching and rash in some,” says Maples. To start with, as we mentioned before, always check the label. If you’re eating something baked by someone else (including a bakery) you may want to ask to see the labels of decorative products just to double check that everything is safe to eat. And if you’re buying online, don’t forget to check with the brand manufacturer for ingredient information. “Be extra cautious and only buy products that are deemed as food-grade or edible and have an ingredients list to verify that there are no ingredients that are not familiar or food-safe,” says Gradney. So, yes, enjoy that sparkly unicorn cake — just take the time to make sure the glitter is actually safe to eat.